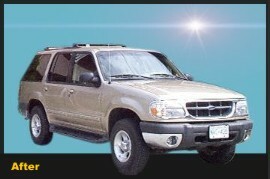 Mikes auto has been repairing collision-damaged vehicles for more than thirty-five years. Your safety is important to us. That's why we go to great lengths to return your collision-damaged vehicle back to factory specifications. Our technician's are constantly upgraded to keep abreast of new developments in technology and design. They take pride in restoring your vehicle back to pre-accident condition. 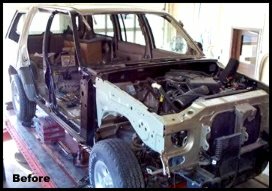 Restoring your vehicle back to pre-accident condition requires skill, knowledge blue prints and some pretty sophisticated equipment. System returns the control points of your vehicle back to the manufacturers original specifications.